East meets West! Bengali Khichuri is warm comforting meal made up of rice and lentils cooked together and spiced with Indian garam masala in ghee. Vegetables are also added to increase the nutrition quotient. Its a one pot meal which is usually accompanied with tomato chutney and bhaja or vegetable fritters. 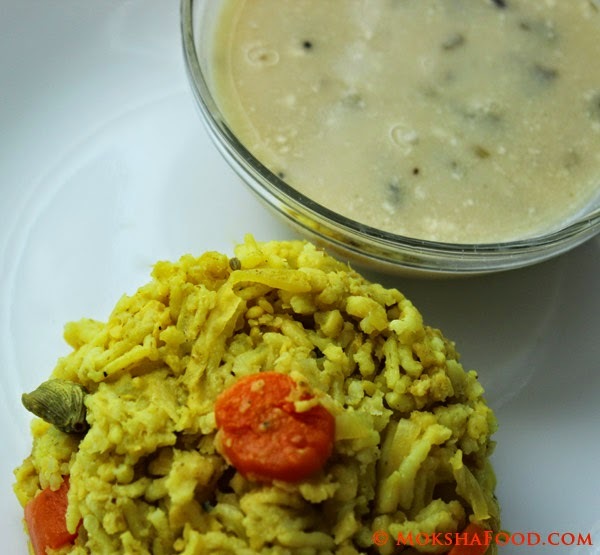 This time I paired it with another comforting dish called kadhi which is a hot yoghurt soup. I made it in Gujarati style which is on a sweeter note. It was a match made in heaven. Both these recipes are saatvic which mean no onions or garlic was used. 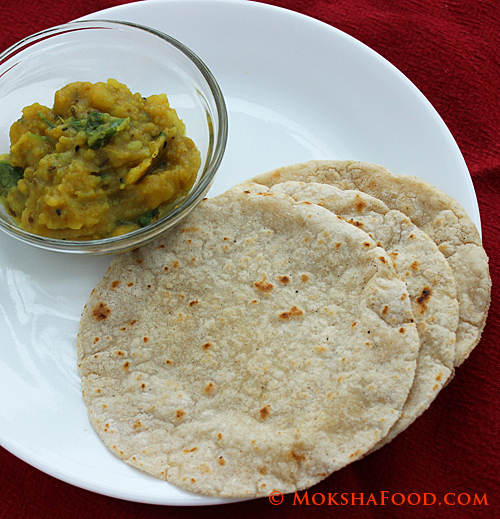 Ghee is a must as it really brings out the flavors in both these dishes. Pictures are not so great as they were clicked the next day with left overs. Couldn't resist a hot bowl of khichuri-kadhi. Dry roast the moong dal till fragrant. Don't let it change the color. Then wash and soak in water for about 30 mins. Wash the rice and drain the water well. 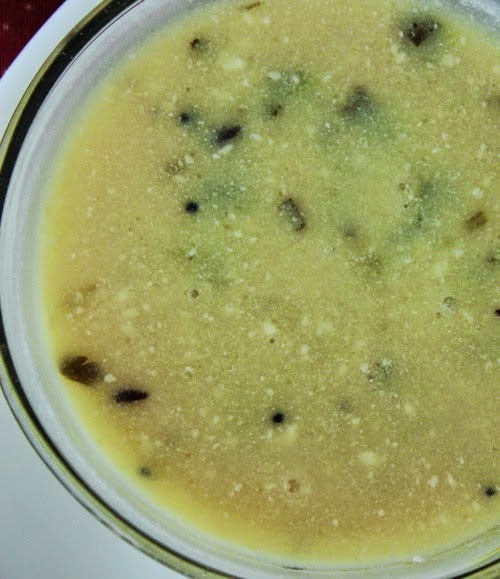 In a big pan or pressure cooker, warm up the ghee. Temper with the cinnamon, cardamom, bay leaves and cloves. Once the spices are fragrant, add the grated ginger and chili and sauté. Throw in the potatoes and turmeric pdr and fry well. Add the rest of the vegetables and sauté. Stir in the rice and drained moog dal. Add the 5 cups of water and let it come to a boil. 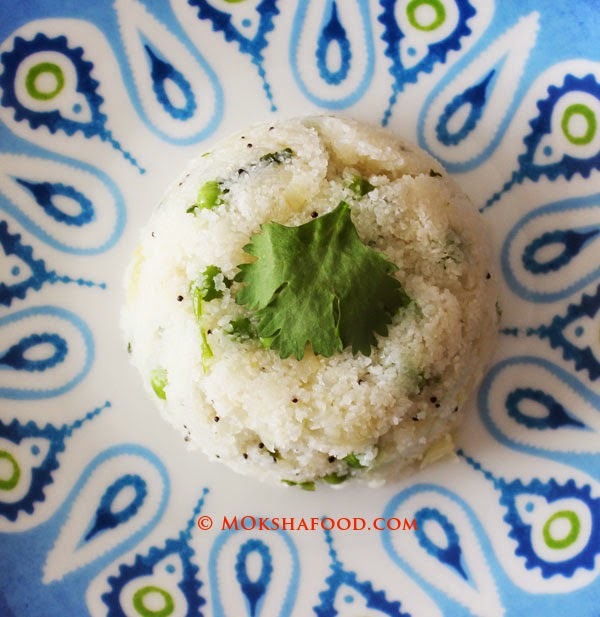 If using the pressure cooker, steam for 4-5 mins or 2 whistles. If using regular pan, lower the heat, shut tightly with lid and cook for about 15- 20 mins till the rice and dal are cooked through. The amount of water added decides the consistency of the khichuri. We like ours to be mushy but dry. Some people add more water to make it like a porridge. 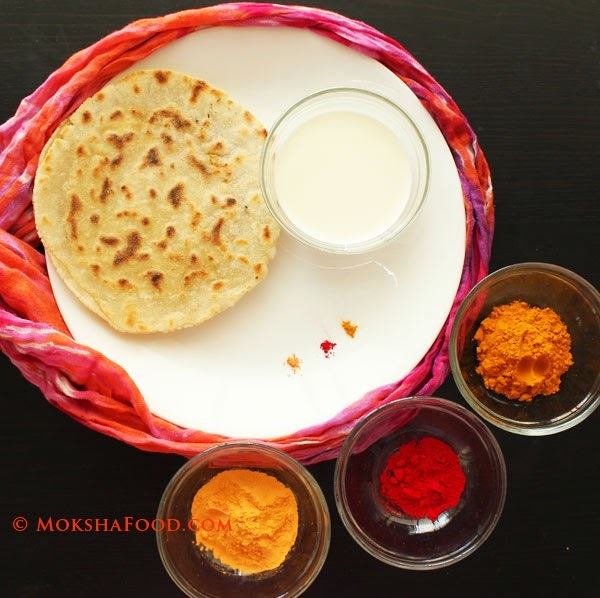 Whisk together besan and yogurt with water to till it is smooth without lumps. Add it to a big pot and bring to boil. Keep stirring intermittently to make sure the besan doesn't settle down and burn. In another small pan, heat up the ghee. Temper with the cumin, mustard and fenugreek seeds. Once they start popping add in the red chillies, cinnamon and cloves and grated ginger and sauté till fragrant. Pour the tempering into the boiling pot of yogurt and besan. Season with salt and jaggery. Taste to adjust seasoning. Let the kadhi cook for another 5 mins. 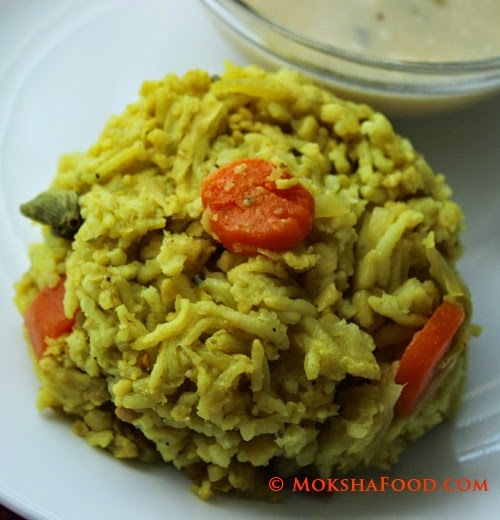 I served the steaming khichuri with the kadhi and blew my sniffles away. This combo is high in protein and vegetables and is very easy on the stomach for digestion. This is a vegetarian equivalent to a chicken noddle soup.